I am taking party in #UBP 12 this year (The Ultimate Blog Party). I stumbled across it last year and participated - you can see my post HERE. Enter using the rafflecopter form below to WIN $25.00 via paypal! My name is Ashley, and I am a 30 something woman. I have 2 boys - Julien is 4.5, full of spirit and definitely knows his own mind. He is in half day JR kindergarten, and he absolutely loves school. Kyle is 20 mths, a little devil - that is for sure. He knows what he wants and when he isn't happy he is sure to let you know. He seems so much older than his age, and I am not 100% sure if that is because of his personality or because he is a 2nd child. I hope you will settle in here for a little while and peak around getting to know me! I am looking forward to partying with all of you during UBP12 though! I will grab a glass of wine when the kids go to bed and plan on visiting lots of blogs throughout the week! Interested in a giveaway? click here and here for your chance to win - and scroll down further for my UBP CASH prize! 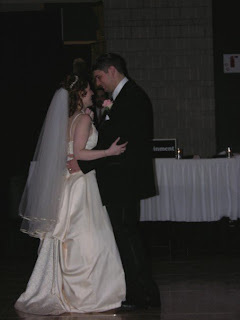 I will leave you with a picture from the best party of my life - February 4, 2006 - my wedding day! Love that picture of you and your hubby! I've never heard of the UBP until now, I'm checking it out as soon as I leave here. Thanks so much for sharing! it's a great way to discover new blogs and win some prizes along the way! Thanks for sharing! I agree - my wedding is definitely up there for one of my best parties! Sounds like fun! I feel like I am a part of a blog party everyday with the amount I read but it's nice to have a structured event. Also, I hope I never forget the party that was our wedding day, so much fun! I'm going to have to go check that out! Such a nice pic! Have so much fun at the UBP! fun! I didn't hear about this until it was over last year. can we post before the 13th then? is this the one you will link up? Get up early to get linked up. Often the server has crashed with everyone trying to link up. I don't think I am getting in on the UBP this year....but, you just never know! Yes, I read that last year is the only year it hasn't crashed - crazy how that can happen for an event like this! the UBP is lots of fun! I participated in this years ago, thanks for letting me know it's happening again! Nice to MEET you as well. I love looking at bloggers wedding pics, I don't know why! I love looking at wedding pics too! I've never heard of UBP. I'm going to have to check it out! Beautiful wedding photo btw! And thanks for dropping by by site, too! Boy, can I relate to a 2nd, strong willed child - my son is 19 months old and sounds A LOT like yours! Hi Ashley!! Thanks for visiting my party post. It's nice to meet you!! Thanks for visiting over here! Have fun partying! Thanks for stopping by OneSmileyMonkey :) I love that photo of your wedding! Beautiful. Will definitively bookmark your site! thanks for visiting me here at Tales of Mommyhood! Hopping around from UBP12 and following. Lovely wedding photo! thanks for visiting! I will head over and have a look around your site! Enjoy hopping around in the UBP hop. thanks for stopping by - have fun with the rest of the party! I am expecting baby #2 - a boy. So I need baby boy gear. It would go towards that. I would use the money towards a new bag. Love your wedding photo, very beautiful! thanks for stopping by - on my way over to party with you! My wedding was the best party of my life too! Great photo! Thanks for stopping by and commenting! I'm following on twitter now! Happy UBP12! Great photo and it sounds like you are a busy mama! thanks for visiting - and yes, they keep me very busy! Well, congrats on 6 years and 2 months of marriage :) As a mother of only one child, it always amuses me how siblings can be so different. I'm sure your two boys keep you busy! Great meeting you through UBP! I'm a home body too. So glad you shared the link for this post so I could get to know you a little more. Thanks for finding me. Money? I'd take my hubby and I out to dinner! thanks for visiting - hope you enjoyed your visit! thanks for stopping by for the party.....hope your enjoying yourself! Hi Ashley, so nice to meet you. I am a homebody too, not into large parties, perhaps small gatherings. Thank you for stopping by my blog. I am looking forward to your posts & hope that we'll remain connected, have a great weekend. Enjoy the party. love this post ;) thanks for the opportunity ! Thank you for visiting my blog today!! What a great contest and a great blog you have - I am a new follower. With the $25, I would definitely buy something fun at Target!! So happy to meet you, Ashley! I'm Michael from adaddyblog.com. I was already following you on Twitter, of course, and "liked" you on Facebook, too. So happy to connect with you via UBP12. Hope you are having a super weekend! This is my first year participating in the party, and I enjoy reading new blogs! I have a 19 month old son, and he also has a "I want it and I want it now!" attitude. :) Since having him, I have become somewhat of a home body myself. I also entered your giveaway. I would use the money for Reviewer's Retreat in June. It would come in handy for gas! Hello! Thanks for visiting my blog! Your boys are 2 cute! I love giveaways, so I will definitely follow your blog by one of the options you have! See you around the blogistsphere! Hey there! First I would like to thank you for joining my blog! Really appreciated :) Second, I am happy we have connected thru the UBP12. I can't believe the interesting and charming people you meet thru these events.... although it was my first one so now I am REALLY looking forward for the next ones! Other than, that, I'd like ot tell you how great your blog is and how you're doing a great job! I recognized myself when you mentioned grabbing a glass of wine and navigating thru the blogs one at a time!!! ;) Anyhow, hope we stay in touch and looking forward to your posts and tweets! Take care! thank you so much - I have met a few great people from blog hops and the like! Stopping by from UBP! New follower! Stop by when you get a chance! If I were to win an awesome prize like this, I would put it towards purchasing a Kindle Fire. It's my dream to own one, but they're expensive. THANKS for the chance! I found you through the UBP 2012. Unfortunately I got to the party on the last day of the event but I'm staying awhile longer so I can meet more bloggers like you:). 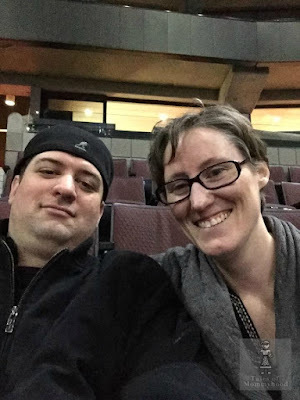 I'm a new blogger and would love to have you stop by for a visit. I blog about life, family, chaos and the coffee that keeps me going through the day. I like your blog, especially your wedding picture-such a happy couple!